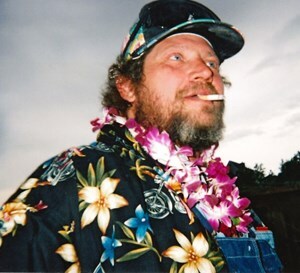 Newcomer Family Obituaries - John Edward Harper 1963 - 2018 - Newcomer Cremations, Funerals & Receptions. John Edward Harper, 55, passed away November 28, 2018. He was born May 9, 1963 in Wichita, Kansas, the son of Edward and Karen (Hickerson) Harper. John was one of a kind; a lover and a fighter; stubborn and willing to give all at the same time. He loved hard -loved people, his Harley, his trucks, his doggies (sidekicks Astro and Rosie), loved going junkin’, Christmastime (including riding said Harley in his Santa Suit! ), Star Trek and maybe most of all…..chocolate! He had the most contagious giggle and the brightest blue eyes when they lit up. Those eyes will be missed; our wish is that they are now brighter and happier. John is survived by his father, Ed Harper; sister, Diana (Peter) Locke; niece, Jessica (Edward) Lottridge; nephews, Zachary (Jessica) Ramsour, Zebulon Ramsour; and aunts, Gay (Kent) Covell, Jill (Phil) Freeman, and Claudia (Tom Bossert) Reeder. He is preceded in death by his mother, Karen J. Harper; aunts, Bonnie Parcel and EvaEllen Graff; and grandparents, Emma Harper and Pauline and Wilbur Hickerson. To share a memory of John or leave a special condolence message for his family, please click the Share Memories button above. Add your memories to the guest book of John Harper. May the wind be on your back and the sun upon your face. And may the wings of destiny carry you aloaft to dance with the stars!! You were always there to bring smile and give a warm hug to anyone who needed it. Stubborn and Passionate, and unapologetically yourself. You truly were one of a kind. Cause cause cause Zebbie did it! Uncle John, you'll always be my magical marvelous Burger King man ; and I'll always be your Punky. I love and miss you already.